This whiteboard presentation easel rests on 2" locking casters. 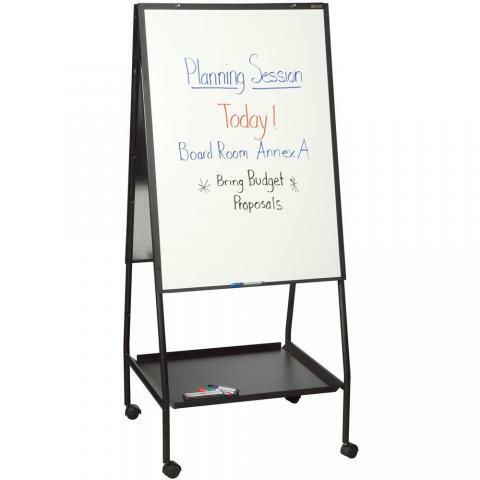 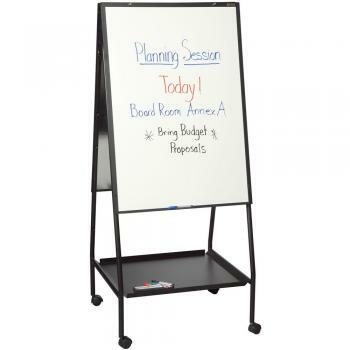 The Double Sided whiteboard surfaces are available in three different materials. 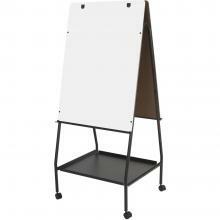 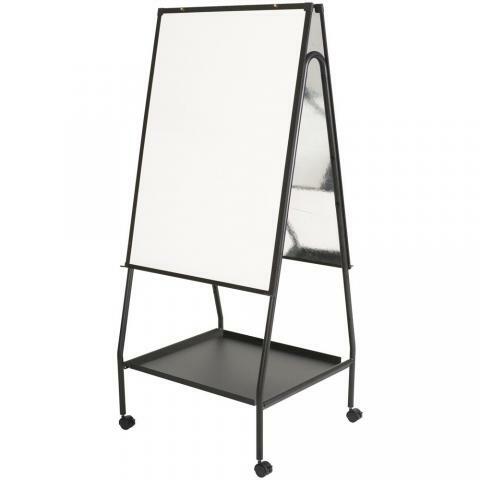 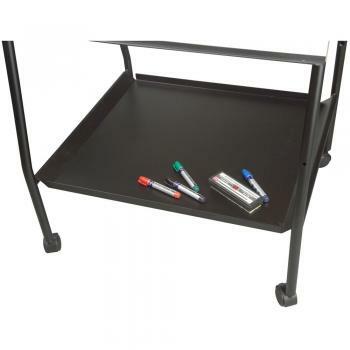 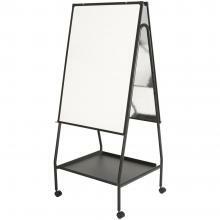 This presentation easel includes accessory trays and flip chart hooks as well as a bottom storage shelf. The easel height is adjustable( from 59 1/2" H to 65" H).